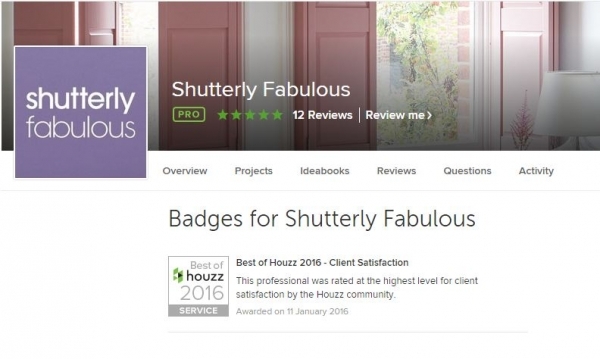 Shutterly Fabulous take a Best of Houzz award! We are delighted to announce that Houzz has awarded us a Best of Houzz award for client satisfaction. The Best Of Houzz is awarded annually in three categories: Design, Customer Service and Photography. Design award winners’ work was the most popular among the more than 35 million monthly users on Houzz. Customer Service honours are based on several factors, including the number and quality of client reviews a professional received in 2015. Architecture and interior design photographers whose images were most popular are recognised with the Photography award. The award given to Shutterly Fabulous focused on our fantastic service, backed by our countless customer reviews. First and foremost, we want to thank every single customer who has taken the time to come back and leave us feedback. Our strongest form of marketing is the loyalty and pride of our customers on their fabulous new shutters telling their friends and family how we have done. Additionally any feedback helps us grow as a company on the rare occasion where a customer can point out something we can improve on! If you have never visited our Houzz page, please do take a look. 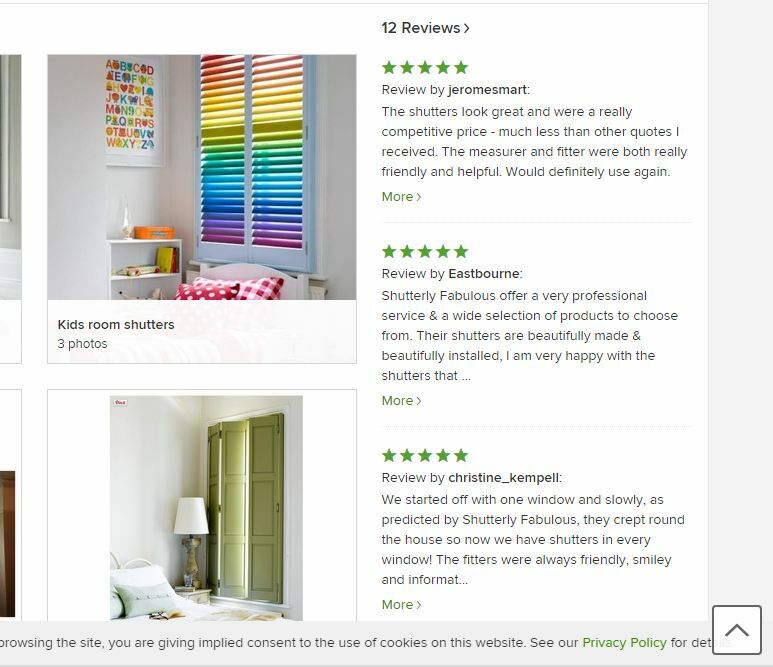 Take a glance at our styles, read our customer reviews and browse through the rest of the site to really take in what Houzz is all about!